Relax, I’m not married. But even if I were, it’s likely I’d still be having this affair. Fortunately it relates to food. And before you stick your head in the gutter, let me be clear that I’m simply referring to my love affair with scones. No food fetishes here ladies and gentlemen. My love dates back to 3 or 4 years ago when I first tasted a cheddar and chive scone at Nordstrom. I was hooked. 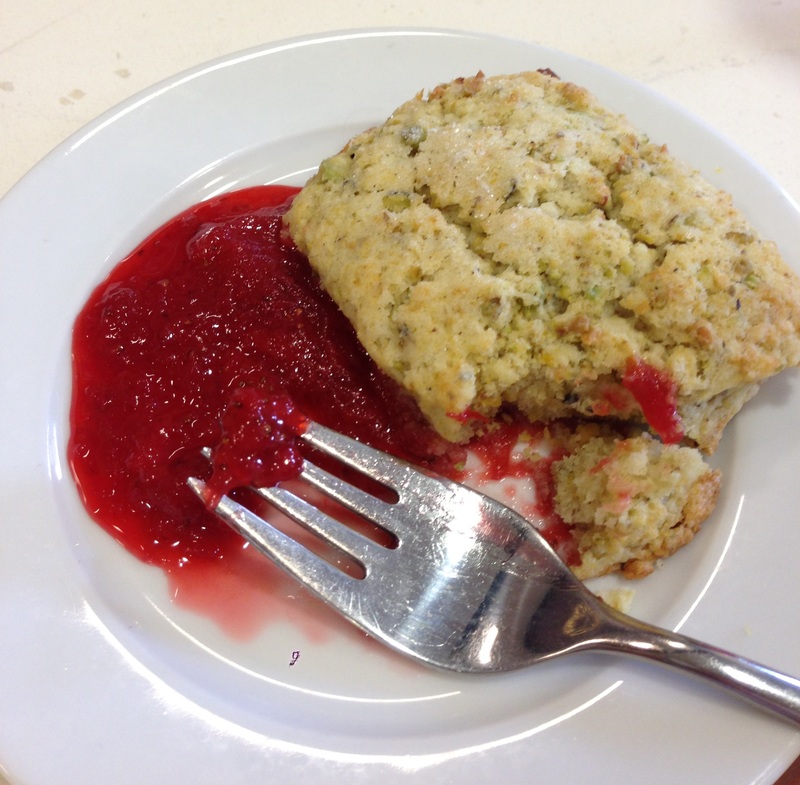 I would negotiate my lunches (and workouts) around the days when I could snag a perfectly crafted and just savory enough scone from the cafe. Then they went and changed the recipe on me and I was forced into a downward spiral of scone experimentation until I found a comparable version. Talk about carb-loading. Eventually I found a new recipe and I’d argue that this version is better than the current, if not the original. But that’s another post altogether. It’s not so much the taste that I love so much, but the consistency that I think makes or breaks a good scone. And yes, I am that deep into my scone love that I examine each element to deem it worthy of sconeholiness. There’s just something about a scone just out of the oven; The crunchy texture outside that breaks into a soft center on the inside. It’s this love of texture that gives me pause when I bake a batch of scones and decide to bring them into the office. 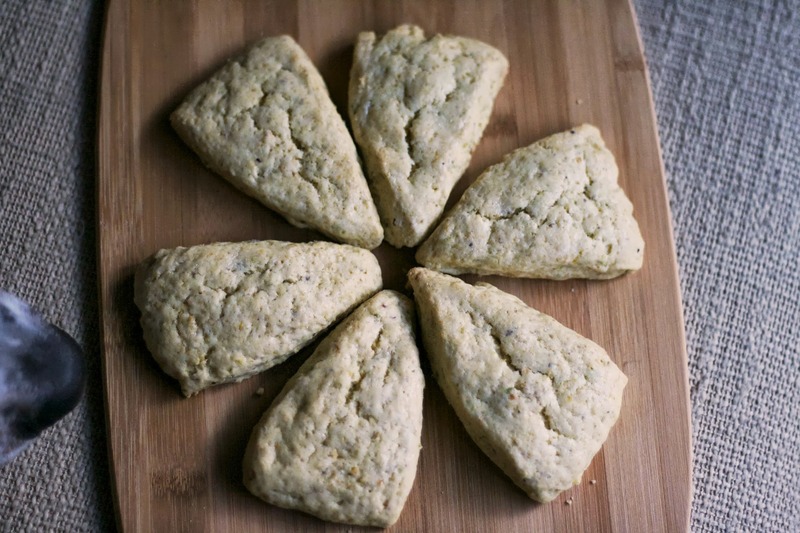 The cooling and transportation process typically causes my crunchy, fresh scones to either dry out or become soft. And while I’m sure no one else really notices, I can’t help but think how much better they would be if I could serve them in their prime. I’ve even gone so far as to heat them up (and burn myself) in our toaster oven a few times. Lesson learned. Soft scones for all. 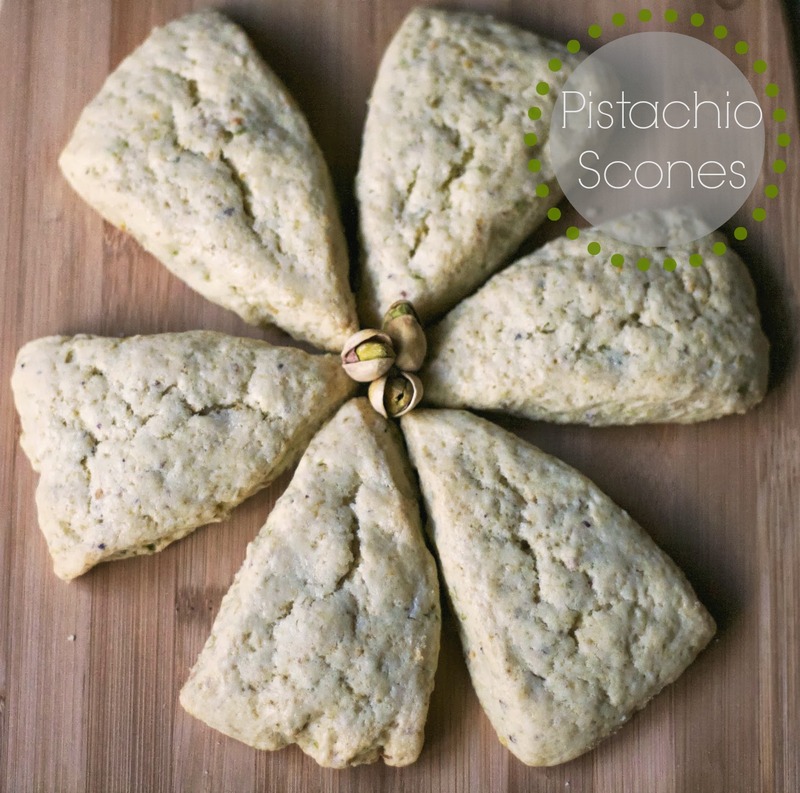 I was greeted with a beautiful pistachio scone a few weeks ago at our “Know Your Gnocchi” class through the Chopping Block. The chef teaching the class had plated them for each one of us to get us through the next 2 hours before we would stuff ourselves on homemade pasta. God forbid we go hungry. Don’t get me wrong that gnocchi was quite tasty and much easier to make than I thought, but for the majority of the class I kept reminding myself to tackle and pin down politely ask the chef for the scone recipe before I left. They were delicious and light and served with a homemade strawberry sauce. Perfect texture. Point, chef. So I jotted down the recipe as she tried to recall it from memory and have been waiting for some free time to make them ever since. And seeing as how that never happened, I did as I normally do and threw them together late night. Then for some idiotic reason I decide that they needed a strawberry sauce accompaniment. So why not whip that up at 6 a.m.? 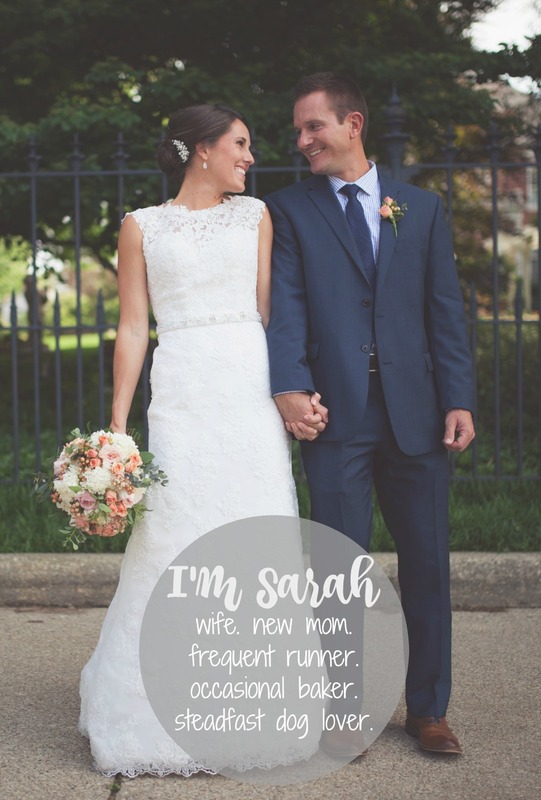 Sounds about right, Sarah. I’m not thrilled with the consistency and I think the chef’s version had more pistachio flavor, but I’m telling myself that this is because she probably flew in the pistachios from Uzbekistan, ground her own flour and used a commercial-grade oven. Yep, that’s it. So this evening I will be heading home to scrape strawberry sauce off every surface of my kitchen, and you? You can sit back and enjoy a new scone recipe. Laboriously peel pistachios for the next 20 minutes, wondering why you didn’t just get the shelled version. Add flour, baking powder, salt, sugar and pistachios to food processor. Pulse until pistachios are roughly chopped. Add butter and process until butter is flaky throughout. Mix in lemon zest. Add cream. Dough should form into ball on side of food processor. Remove dough and separate into two round balls on non-stick mat. Flatten ball into 1-inch disk. Cut into 8 triangles with your cool new dough cutter and place onto nonstick baking mat. Repeat with remaining dough. Brush with leftover cream and sprinkle a little sugar on top. Don’t pour it. That’s just a Def Leopard song and ain’t nobody got time for that. Unless you are singing karaoke and then everyone does. Bake for 10-12 minutes. Let cool on rack. Try to get a good shot before your dog photobombs and/or eats your end product. 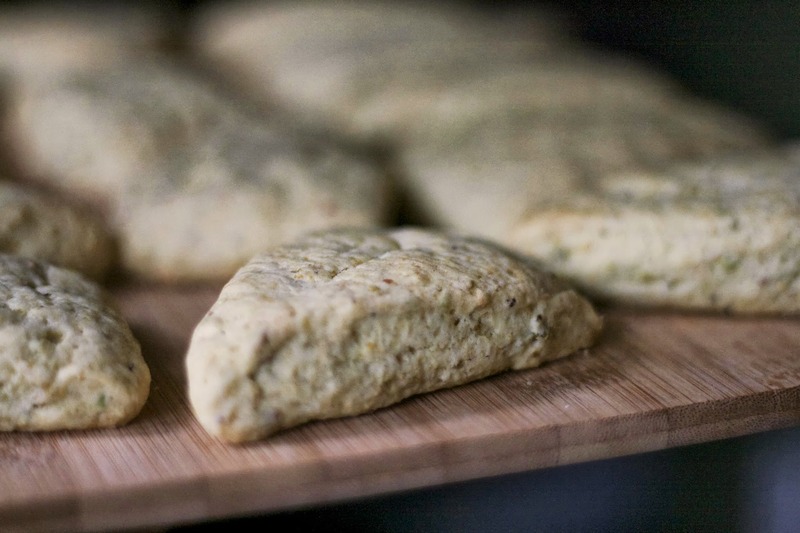 What’s your favorite scone recipe? Looking good. We must try it out. Thank you! I think I would add a little more pistachio if I made them again. I appreciate the follow!